Combine warmth with glamour in the Golda Faux Fur Coat. 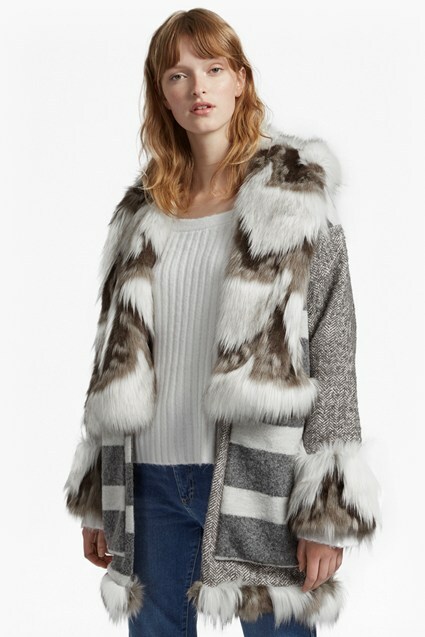 The oversized fur coat has a patchwork design combining two contrasting palettes to create an eye-catching and rich finish. The cosy piece has a super soft feel, perfect for pairing over party season dresses.